During January you can get an amazing 30% off any online bike hire at Cycle Experience if you mention you are staying at the Cottage Lodge. You can hire for a couple of days and Cyclex will let you keep your bikes in our bike storage area overnight. So why not treat yourself to a couple of days of relaxing cycling in the New Forest National Park. 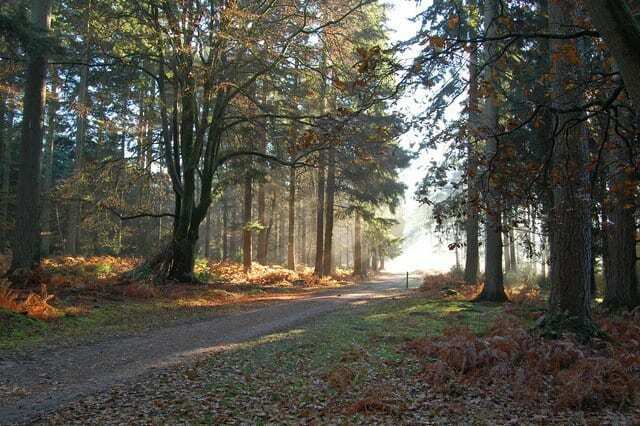 With 92km of off road cycling on wide well maintained logging trails, and only a few hills, there are few things that can compare with the safe and scenic wide gravel cycling routes of the New Forest. There is still time left to book yourself a beautiful room at our hotel and enjoy a relaxing day of easy cycling followed by a delicious meal and a glass of your favourite tipple. 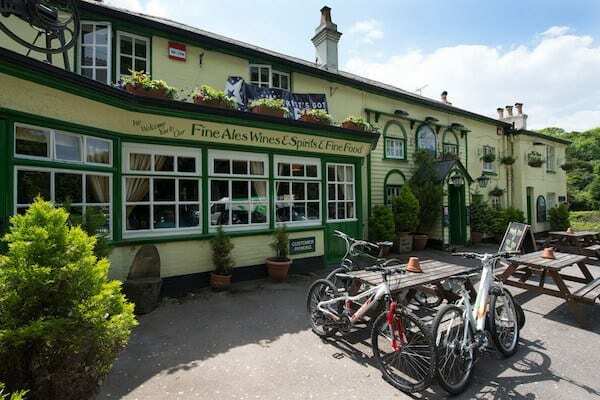 With plenty of space to store bikes and a nearby cycle hire shop if you want to borrow your bikes, our hotel is perfectly placed to enjoy your time away from the stress of everyday life. You can also hire a tandem and other fun bikes from Cyclexperience. Just leave the car in your reserved parking space on our forecourt, or come by train. Either way you can leave the wheels behind for the day. From our hotel it is just 300 yards to the cycling trails. Once you set off you will find yourself cycling through forest and open moorlands. You can spot New Forest ponies and their new foals, see the beautiful wild flowers, watch out for rare birds like the Dartford Warbler, keep your eyes peeled for herds of deer and cycle through the peaceful, safe, beautiful, flat (ok there are a couple of gentle hills…. but essentially it is flat) forest. Did I mentioned that there are pubs scattered about the forest making wonderful pit stops? The New Forest didn’t start off as a good place for cycling. It has become a great place because of the commercial logging. Let me explain. The Forestry Commission owns and manages large parts of the forest in partnership with the National Park Authority. In order to keep the forest thriving it cuts down the trees in places where there are too many and they are competing for light. This means that there is always some little corner of the 94,000 acres of park where there is a bit of tree felling going on. The areas are cordoned off and visitors are re-directed around any logging activity. With the logging comes the need to get the occasional truck and heavy vehicles into the forest. This means wide, flat, well maintained logging trails. When they are not being used for vehicles (which is most of the time), they are used for walkers, horse-riders and cyclists. When you look at the network of trails criss crossing the park as logging roads it all suddenly makes sense. The trails take you through open moorland, dense forest, Californian forest and past some of Europe’s most ancient trees. Norwegian Maples grow beside ancient oaks. Bluebells, gorse, rare orchids, all grow undisturbed, except for the occasional logging truck. So it is no wonder that there are plenty of places in the New Forest where you can hire a bike. My favourite cycle from Cottage Lodge is across the open moor to Aldridge hill, where there is a possibility of seeing red deer. Then across the stream, through the bluebell wood and up the hill to the pub at Bank. After a refreshing drink and lunch it is past the deer fields and a look to see if we can spot some fallow deer, across to the ornamental drive (which is described as the garden of the forest). Often there is an ice cream van here with wonderful New Forest Ice Cream. Then home via the amazing Rhinefield House hotel. It is such a treat that I often do this cycle route a couple of times a month. It is different every time you do it. Different foliage, flowers, animals and people. 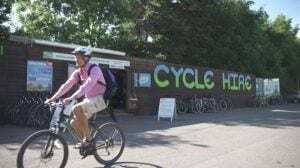 Cycle experience, based 10 minutes walk from Cottage Lodge are happy to hire a bike to you 30% discount mid-week term time. You can book for a couple of days and they will and let you keep it at Cottage Lodge overnight. So you can book your bike for three days or more. They hire a huge range of bikes including electric bikes. Just ring 01590 622296 if you want to give it a go.